SmartEcoCity helps large corporates, SMEs and start-ups bring innovative smart & green solutions to face China’s urbanization challenges. For information on how to become a Partner, Associate or Member of SmartEcoCity, please visit our membership options and register with us. Bouygues Construction and Bouygues Immobilier’s are developing eco-districts and optimizing energy use in residential and commercial buildings. Bouygues Telecom provides the telecom connectivity for energy management services in homes. The Energy and Services division, designs, builds and operates districts with self-sufficient energy production and storage. EDF is an integrated energy company active in all areas of the business: generation, transmission, distribution, energy supply and trading. As the power grid manager, ERDF operates and optimizes the electrical distribution network. ERDF manages the network at the district level taking into account electric vehicles, distributed production and storage of electricity from renewables. A provider of network management, transportation and power generation solutions, Alstom is involved in developing systems to manage energy resources in eco-districts and smart cities. Focus areas include smart buildings, electric vehicles, electricity storage and electricity demand management. Alstom helps utilities improve their operations through end-to-end integration. 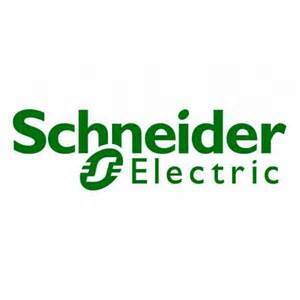 As a global specialist in energy management, Schneider Electric offers integrated energy safe, reliable, efficient, productive and green solutions across multiple market segments, including leadership positions in Utilities & Infrastructure, Industries & Machines Manufacturers, Non-residential Building, Data Centres & Networks and in Residential. 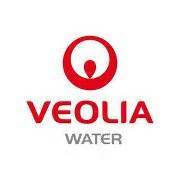 Veolia Water designs, builds and operates an unparalleled range of processes to recycle wastewater after treatment, including submerged-membrane bioreactors and membrane technologies such as micro-/ultra-filtration and reverse osmosis. Veolia Water has also developed a solution able to capture the energy potential of wastewater without modifying the wastewater collection system. Saint-Gobain is a leader in the design, manufacture and distribution of construction products for the creation of a more sustainable built environment.Its global strategy is focused around meeting some of the fundamental challenges faced by the world today: reducing energy consumption, limiting our impact on the environment, and creating a new generation of buildings which are safe, comfortable and energy efficient. The Tsinghua School of Economics and Management (SEM) Net Impact is the first Mainland China student chapter under the global Net Impact organization,who seek to improve the world and society through business. They facilitate interaction of ideas and projects in corporate social responsibility, social entrepreneurship and non-profit organization management. Net Impact HEC Paris (Hautes Études Commerciales de Paris), a global non-profit organization, is the most progressive and influential network of new generation of leaders who use the power of business to create a more socially and environmentally sustainable world. Since its inception in 2005, Net Impact HEC Paris Chapter is one of the most active and visible associations .